Want to do something meaningful this Rosh Hashanah? 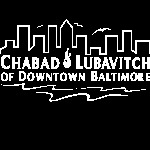 Visit Jewish patients at Mercy, University of Maryland, and JHU hospitals. Bring the joy of sukkot to Jewish patients at Mercy, University of Maryland, and JHU hospitals. We are collecting hygiene supplies, new clothing, bags and facility needs for Youth Empowerment Society, a local non-profit which mentors and assists inner city youth. YES’s drop in center was damaged by fire in Monday night’s violence. Please contribute items on YES’s wish list, to be found at: http://www.yesdropincenter.org/getinvolved We will have a drop-off box in Patterson Park at the Lag B’Omer BBQ or you can bring items to the Chabad House.